This post is finally live!! We’ve so enjoyed going through all 53 of the engagement sessions (with a couple of anniversary sessions thrown in there, too!) that we shot in 2017, reliving our time with these amazing couples! This post is only a month late, but we think we get a pass because we shot two weddings and an engagement session on the last three days of the year – it took a little time to catch up! We hope you will enjoy this blog full of some of the world’s best people, and some cute pups, too! We love shooting engagement sessions. We love spending time with our sweet couples, wandering around downtown Birmingham or a garden, a field or a rooftop. We love getting to know them, learning more about their love story, and becoming friends. After the engagement session, the wedding day is no biggie! All the ice has been broken, we are comfortable around each other, and they learn how incredible they are in front of the camera! 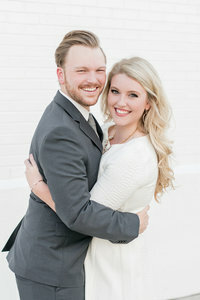 Gosh, engagement sessions are the best! So, get comfortable, and enjoy! There’s a lot of images here, we’re warning you, so maybe grab some popcorn, too! To see our 2016 Engagement Highlights, click here! To see our 2016 Wedding Highlights, click here!